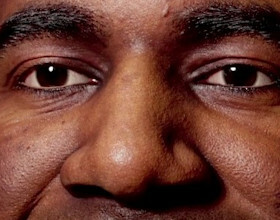 Originally posted on 10 April 2018. Scroll down for news of the official release. Blackmagic Design has released DaVinci Resolve 15, another big update to its grading and editing software, as a free public beta. The news was announced at NAB 2018. The update adds over 250 compositing and paint tools from Fusion, DaVinci Resolve’s sister product, including tracking and retiming features previously only available in the high-end Fusion Studio. DaVinci Resolve 15 also adds a new LUT browser, improved HDR grading tools, plus new scratch removal and smart fill effects; and updates the software’s editing and Fairlight audio mastering toolsets. The biggest change in DaVinci Resolve 15 is undoubtedly the new Fusion tab, which integrates over 250 tools from Fusion 9, Blackmagic Design’s desktop compositing and effects software. According to Blackmagic Design, the integration “has been a massive project” and represents ongoing work that “will be completed over the next 12-18 months”. However, even in the initial release, most of Fusion’s key toolsets are available inside Resolve, including compositing, keying, roto, vector paint and 3D particles. The tools are “fully integrated” into the Resolve timeline, and actually better hardware-accelerated than in Fusion itself, thanks to Resolve 15’s support for Apple’s Metal and Nvidia’s CUDA APIs as well as OpenCL. Resolve is also now capable of importing or exporting Fusion project files natively. The release even makes functionality previously only available in Fusion Studio, the commercial edition of Fusion, available in the free edition of DaVinci Resolve. That includes planar tracking and planar image stabilisation, plus optical flow retiming. Users of the Studio edition of DaVinci Resolve itself also get Fusion Studio’s 3D camera tracking toolset. And according to forum users, dongles for Fusion Studio also now activate DaVinci Resolve Studio, so if you’ve paid for one commercial edition, you’ve now got both for free. Not yet a replacement for Fusion itself? The announcement has created concern in the Fusion community about the long-term future of the software: if all of Fusion’s tools migrate into DaVinci Resolve, will Blackmagic Design maintain it as a separate product? For the minute, that seems to be some way off: this forum post from Michael Wolf of tools developer db&w describes Resolve’s current Fusion tab as “crippled for VFX work”. 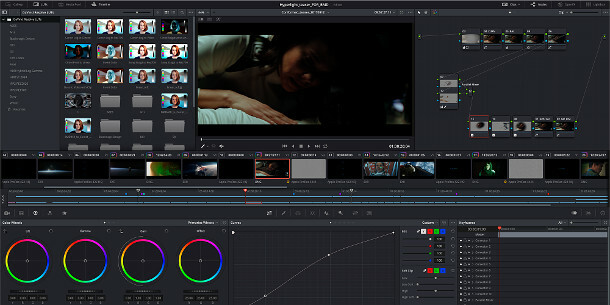 Clearly, that’s an immediate reaction rather than one based on extensive testing, but it suggests that in its current state, Resolve might be better regarded as a grading and editing tool that can also do some lightweight compositing and effects work rather than a fully fledged compositor in its own right. Blackmagic Design has also confirmed that “the standalone version of Fusion will continue to be available for customers who need it”. Outside the Fusion tab, new features for colorists in Resolve 15 include a new LUT browser for previewing and applying LUTs, and multiple playheads for quickly comparing shots while grading. There is also a new Super Scale HD option for up-resing HD projects to 8K resolution, and under the hood, there has been a “5x performance improvement in stabilisation”. Users of the Studio edition get new ResolveFX plugins for dust and scratch removal, lens and aperture diffraction effects, and an Adobe-style smart fill system for removing unwanted elements in a shot. The Studio edition also now supports the HDR10+ video standard, including native HDR10+ grading controls. Editors also get a range of new features, including timeline stacking to make it possible to compare – or to cut and paste – scenes between timelines. The update also adds on-screen annotation tools for shot reviews, support for subtitles and closed captioning, a floating timecode window, and a new autosave system with versioning. Again, performance has been improved: Blackmagic Design claims that “large projects with hundreds of timelines and thousands of clips now open instantly”. The Fairlight audio mastering system integrated into the software in Resolve 14 also gets a “huge update”. New audio features include a complete automatic dialogue replacement (ADR) toolset, audio retiming with pitch correction, and audio normalization. There are also new cross-platform plugins for effects including reverb, hum removal and de-essing. Blackmagic Design has also announced that new Fairlight audio consoles – dedicated two, three or five-bay hardware surfaces for audio mixing work – will be available “later this year”. At $21,995 to $48,995, they’re well out of the price range of freelancers and most small studios, but Blackmagic Design notes that this is still “approximately 80% less than the previously available panels”. Updated 14 June 2018: Beta 5 of DaVinci Resolve 15 has just been released. Blackmagic has been putting out beta builds steadily since the initial release – you can see the changelogs online – but this one is notable for adding initial support for OpenFX plugins to the software’s Fusion page. The change should make it possible to use standard OFX-compatible add-ons like those from Boris FX when compositing inside Resolve. Updated 13 August 2018: Resolve 15 is now officially shipping. You can find the final changelogs for both the free edition and for Fusion 15 Studio in Blackmagic Design’s online support centre. DaVinci Resolve 15 is available for Windows 10, RHEL/CentOS 7.3 Linux and macOS 10.12.6+.